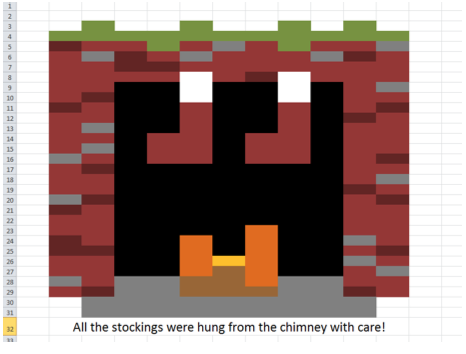 I can use the “fill tool” to color specific colors into each cell in Excel to create a holiday picture and then uncover a picture caption when I am done. Use File>Save As to save to your folder. Hold down the Ctrl key and click on more than one cell to select multiple cells at one time. Scroll to the bottom of this webpage to check your finished picture.